Sometimes you can’t find the perfect ready-made stool. 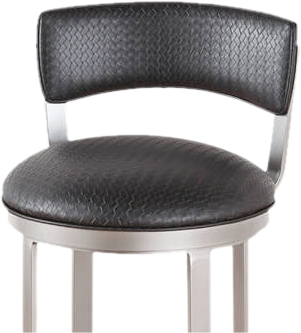 Custom barstools are within your reach here at Alfa Barstools. Custom made counter stools or custom wood barstools from Alfa Barstools look great, they last, and we are known for low prices, too. 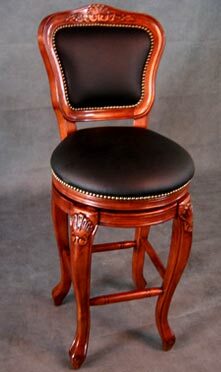 We’ve been supplying brand name and custom wood barstools for homes, restaurants, nightclubs, and resorts since 1992. 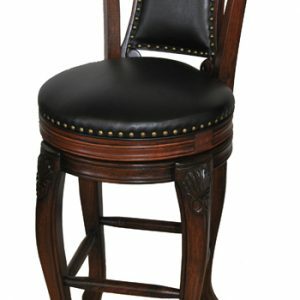 When it comes to leather and wood barstools, have a great reputation for quality, customer service, and some of the lowest priced custom wood barstools around. Place an order online or by phone or make an appointment to visit our Lauderhill, FL warehouse to review options in person. 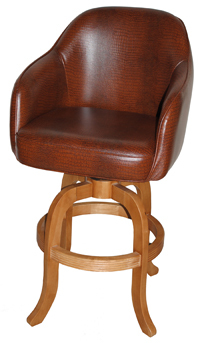 Alfa Barstools offers beautifully designed custom wood bar stools in a wide range of materials and styles. 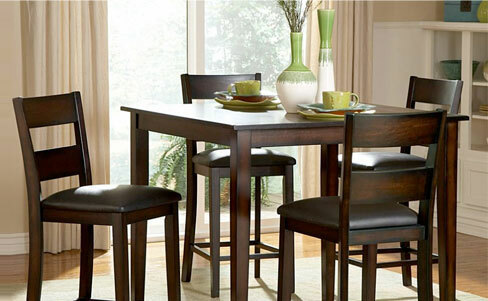 What do you envision for your bar, your kitchen island, or your pub style dining set? We offer maple, dark cherry, oak, beechwood, and other options. 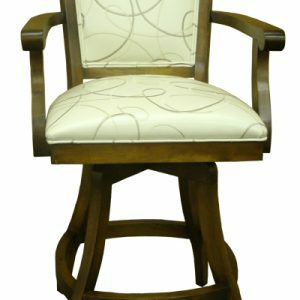 Whether it’s a S or R frame swivel captain’s chair or a low back leather and wood barstool you envision, talk to us today about gorgeous wood seating for your home or business. 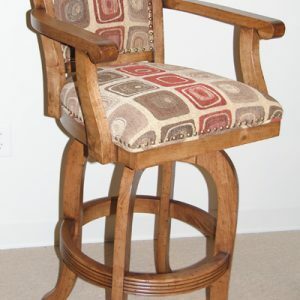 In addition to custom wood stools for homes, offices, bars or restaurants, we offer several great brands at deep discounts. Due to our longevity, industry connections, and our volumes, we are typically priced at 40% or more below retail. Do you want 24 inch, 26 inch, 30 inch, 32 inch, 34 inch, 36 inch, or some other size? Do you want footrests? 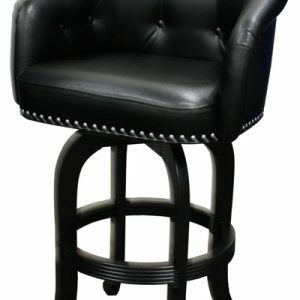 Do you need adjustable height barstools? What about stools made for outdoor use? When it comes to purchasing the right wood stools for your home or business, height is the most important factor to consider. Measure your counter and consider the fact that space for legs is needed between the stool and the counter. Low back or backless stools are helpful if you want to be able to tuck your stools under your counter area and when you want something more lightweight. Would you prefer adjustable height stools for home when you have children who might be using them? 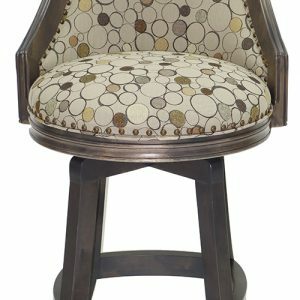 A foot rest could also be helpful for comfort as well as ease of climbing up and down when you purchase extra tall barstools. 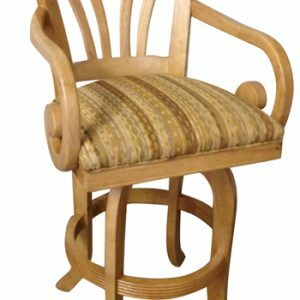 When shopping for custom wood stools from Alfa Barstools, you’ll find many options available, including custom swivel wood barstools, which enables you to move the stool 180 or 360 degrees. These are often chosen for home, when you might want that extra mobility. 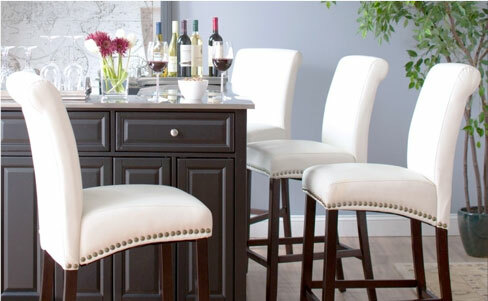 Need help deciding which stool will work best for your needs? Our designers are happy to help you review options and discuss important factors that can help you make a decision you will be delighted with. 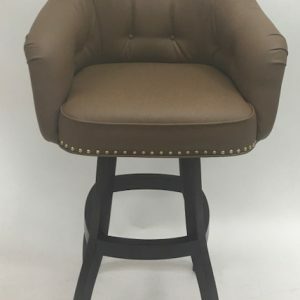 Want to buy a stool in a customized base color? Have a particular back design in mind? Talk to us about your needs. 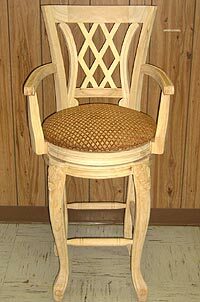 We will happily accept a wood sample to match your custom wood barstool perfectly at no extra charge. 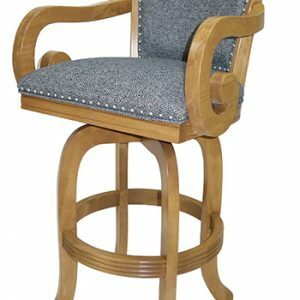 We can provide stools with or without nail heads. 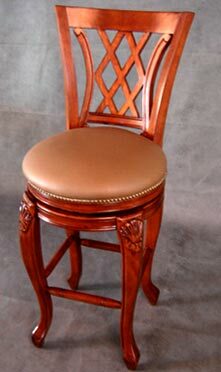 For comfortable, beautiful, long-lasting custom wood barstools at deep discounts, Alfa Barstools has what you need.